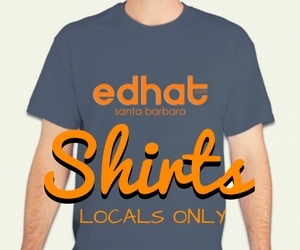 Edhatters: What suggestions do you have for a smallish restaurant in SB that is locally owned and operated and has a fairly healthy menu? I have some visitors coming to town who want to go somewhere different (they've been to the usual popular places). Two of them are vegetarians and two are meat eaters so a menu with variety would be helpful! Thanks! Mesa Verde. Order the empanadas. And the desserts are to die for, too. There are a lot of not "healthy" suggestions on this list. Delicious and local, yes, but healthy??? I'm going to jump on the Mesa Verde wagon with several of the other posters. Do not be afraid to take your whole crew there just because it is a vegetarian menu. I am an avid meat eater, but everything on their menu is amazing, and healthy. They do not just have veggies and call it "vegetarian" - they are ingenious with how they craft their recipes in ways that make you forget about having meat at the center of your plate. Poster, You sure asked at the right place. Lots of good suggestions. Have a wonderful time with your guests. Ditto on the Natural Cafe. They have a great menu and nothing but the healthy stuff. They have many all veggie dishes and chicken dishes if you're so inclined. Kelly always makes sure that his staff are friendly and courteous and provide good food for you. Savoy: very local ambience, wide variety of veg entrees (not only salads, though those are good) as well as meat dishes, not shockingly priced. You do order at the counter, though, so it's not full service. We also enjoy the Paradise Cafe for full service. Mesa Verde on Cliff Dr. The best veggie restaurant in the area. The best place that fits what you're describing is Nectar on Cota St. It has great food and a different variety of menu items. I like the feel of the place, too. We've gone there a few times and the owner Brad has always been friendly. Great drinks and Happy Hour, too! I also like the Live Oak Cafe. I often eat at the Live Oak Cafe on Bath and Pueblo. Small, low key, consistently good food for vegetarians and meat eaters alike. Natural Cafe, and Jane both have healthy food and are locally owned. They have great menu options. The Jane in Camino Real has a full bar, while the Jane downtown serves beer & wine only. Jerry's Pollofino in Goleta is AMAZING, but not sure about their vegetarian options other than a darn good been burrito. Also, Itsuki in Goleta too if you like sushi and other interesting Japanese dishes. Here are a few...Domingos cafe in old town and Pepe's Mexican also in old town. Santa Barbara shellfish co. Lilly's tacos, La super rica on milpas, anything in the public market. I had an awesome vegetable soup from Codys today. Large chunks of squash, zucchini, bell peppers in a tomato base. They have a great variety of foods. Convivo at the Santa Barbara Inn is an amazing menu that is totally healthy. Good value and great happy hour. Stella Mare's at the Bird Refuge. Lovely setting, delicious food, good service. Varied menu should please all your guests. Pepe's in Goleta is locally owned, and fabulous! You'd have to pick and choose from the menu to get your healthiest choices. Other than the obvious fast-food joints, I can't think of a single restaurant in town that doesn't feature "healthy" food. These days, "healthy" seems to mean vegetarian/vejjan, and there are plenty of those places around. I still like Harry's Plaza.